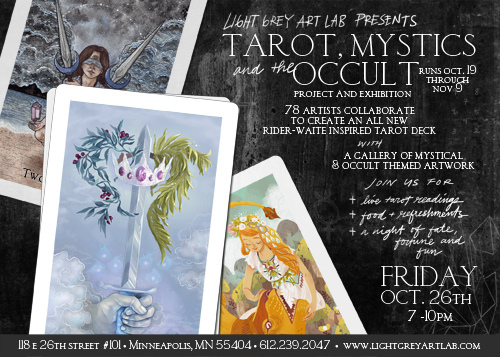 You may be interested in Light Grey Art Lab‘s Tarot, Mystics and the Occult project and exhibition. The exhibition runs Oct 19th through Nov 9th, 2012, at Light Grey Art Lab in Minneapolis, MN. 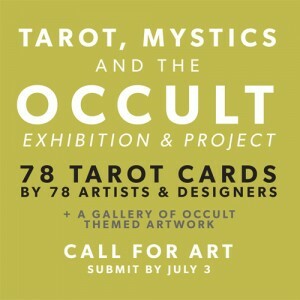 In particular, you may be interested in the collaborative showcase of tarot card inspired art by 78 artists.